Teaching your children how to cook doesn’t sound like an essential activity but the advantages are proving too great to ignore. 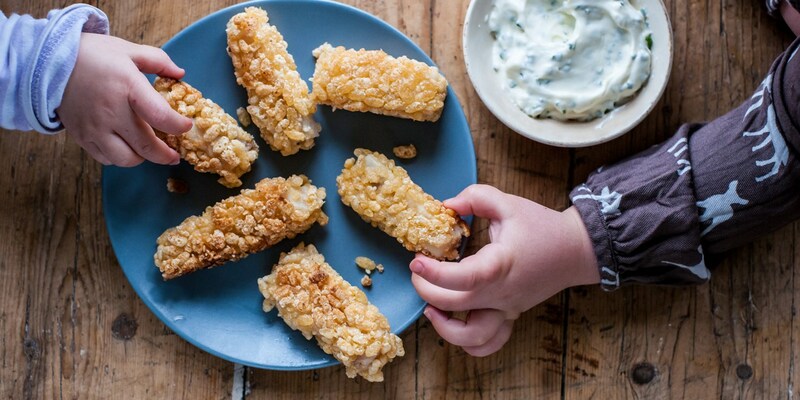 Teaching your children how to cook doesn’t sound like an essential activity but the advantages are proving too great to ignore (see our article: Benefits of Cooking With Kids). Two particularly pertinent benefits – given that the UK has the highest rate of childhood obesity in Europe – are that children who cook or eat home-cooked food are more likely to have healthier eating habits and less likely to be overweight. In 2005, chef Jamie Oliver started the ‘Feed Me Better’ campaign to promote healthier school meals – whilst the campaign has had mixed success it did bring to the public’s attention what a detrimental effect turkey twizzlers and processed food is having on our children’s weight and wellbeing. Earlier in 2013, Ruth Bond of that stalwart British institution, the Women’s Institute, suggested that cooking should be taught to all schoolchildren, and ‘Leon’ founders Henry Dimbleby and John Vincent have been advising the British government on including cooking on the school curriculum. As of 2014, the aim is for all children aged 7-14 to take compulsory classes that focus on savoury dishes in an attempt to tempt children away from sugary treats. Academic studies about children’s eating habits are reaching similar conclusions – home-cooked food helps children’s development. A 2012 study by Goldsmiths’ College, University of London, looked at 4,000 Scottish children between three and five years old and found that children of a lower socio-economic status who consumed more fast food fared worse in IQ tests than children from middle class backgrounds who were fed more fresh fruit and vegetables. Although there are other reasons why children from diverse backgrounds fare differently, other studies in Australia and the US have published similar results indicating that poor nutrition can affect brainpower. Another study conducted by the School Food Trust gauged nationwide cooking clubs for four to eight year olds and discovered that learning how to cook enhanced the children’s recognition of healthier foods and, furthermore, encouraged their desire to eat them. Research carried out in Liverpool by City University London found that schoolchildren and adults who took cooking classes changed their eating habits for the better, with both kids and grown-ups stating they ate more fruit and vegetables as a result. And it’s not just about cooking together – it’s also about eating together. An American report found that families who eat together are more likely to eat fruit and vegetables and consume less fried food and fizzy drinks both inside and outside the home. While modern life often thwarts mealtimes, sitting down for a meal together – even if it isn’t every day – helps families to connect, discuss and share. What all the experts fundamentally agree on is that a change to the culture of ready meals and junk food is required. Fast food, that began as a convenient way of enabling us to work longer and play longer, has become a threat to our health, intelligence and relationships. If children and adults are taught basic cooking skills and simple recipes they’re not only learning valuable life skills, they’ll be – if not wealthier – healthier and wiser.